Vegetables and herbs want to grow where it’s sunny. But often, the sunniest spot is the front yard--a place where most of us wouldn’t want to install what is, basically, a working farm. 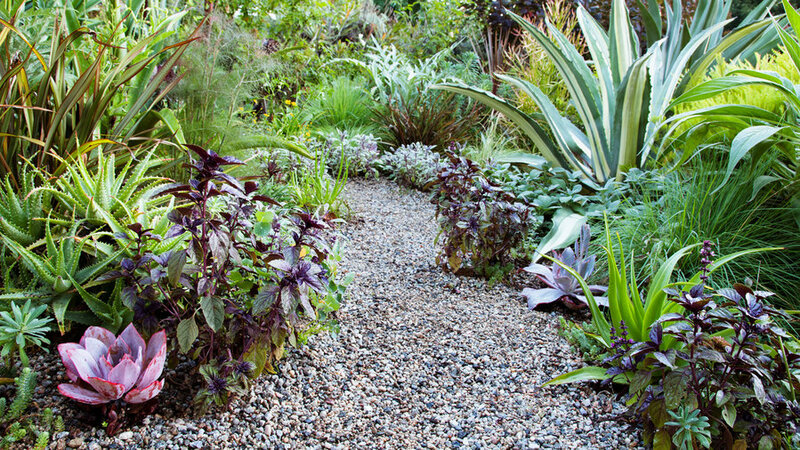 “We still want our front yards to look like gardens,” says Ivette Soler, a Los Angeles garden designer, blogger (), and author of The Edible Front Yard (Timber Press, 2011, $20). 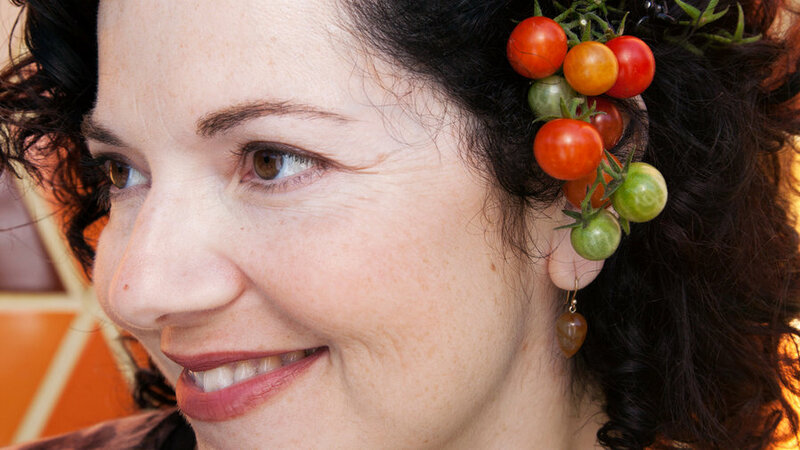 In her own garden, Ivette proves that kitchen gardens can be both pretty and productive. Basil (Ocimum basilicum): This annual and attractive culinary herb is used in many cuisines. Each variety has a slightly different flavor, so you have an excuse to grow several. Purple-leafed varities like ‘Red Rubin’ are particularly decorative. Fennel (Foeniculum vulgare): A perennial edible with licorice-flavored seeds and young leaves. Wispy and tall, the plant’s fronds sway in the wind, adding movement to the garden. Artichoke (Cynara cardunculus): Grow this “superstar of front-yard food,” as Ivette describes it, even if you don’t like eating its big flower buds. Its architectural structure, downy leaves, and softball-size purple flowers are all highly ornamental. Sage (Salvia officinalis): The mounding shape and gray leaves of this perennial Mediterranean herb make it a great front-row ornamental. Pink tinges in ‘Tricolor’ play off the burgundy flax, and the large leaves of ‘Berggarten’ echo the blue-green edging of the agave behind. 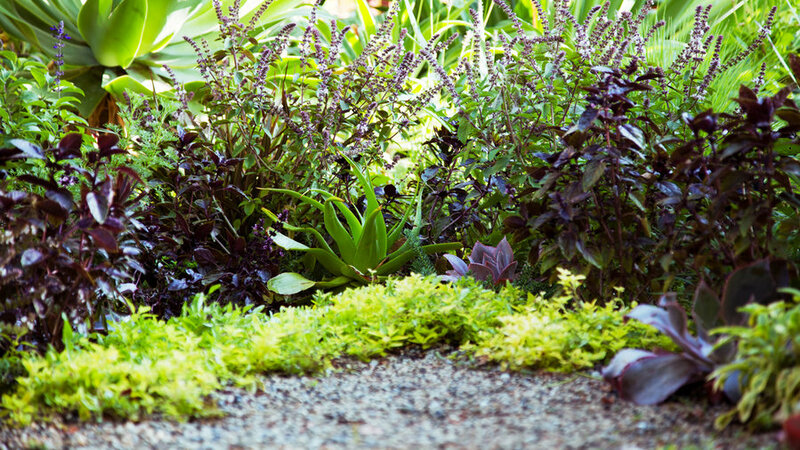 Plant sage and succulents together for maximum impact. 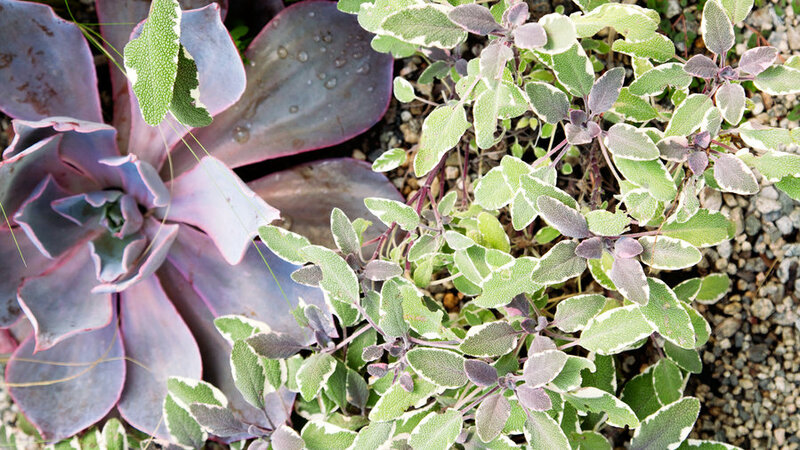 Salvia officinalis ‘Tricolor’, a variegated culinary sage, surrounds a rosy Echeveria ‘Afterglow’. 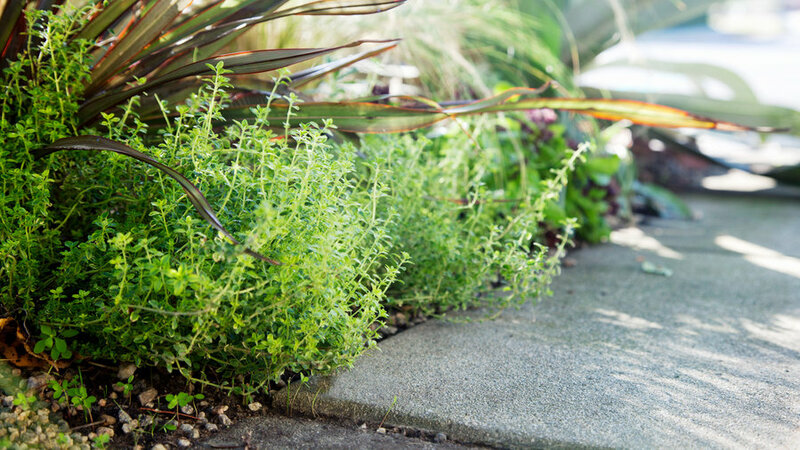 Thyme and phormium make a perfect pair. A mound of gray-green culinary thyme (Thymus vulgaris) softens a stiffer, upright form of ‘Tom Thumb’ New Zealand flax (Phormium). Basil and thyme grow great together. 'Golden Lemon' thyme (Thymus x citriodorus), a low-growing thyme with bright gold leaves, edges 'Red Rubin' and 'Siam Queen' basil. 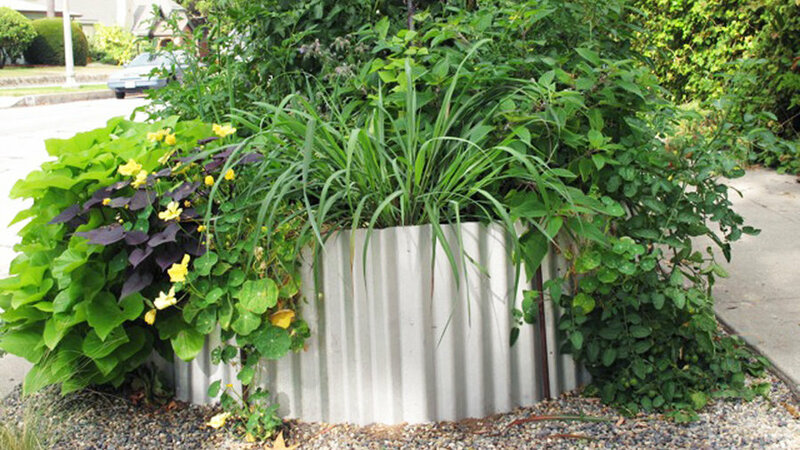 Ivette loves to make free-form beds of corrugated galvanized steel, scattered throughout her garden. For tips on making your own, visit real-estate-japan.info/raised-bed. What's the one thing to remeber when planting edibles out front? Choose crops that have good foliage all season. Save mildew-prone crops for the backyard. What are your foliage favorites? Leafy crops. I use lettuces to edge shaded borders, kale in sunny spots. Red mustard, purple mizuna, and arugula come up wherever they want. What about the ever-popular but foliage-challenged tomato? I like small-fruited tomatoes because their fruit clusters are extra-ornamental and their foliage doesn't deteriorate too rapidly. You have a lot of herbs in your garden. Why? 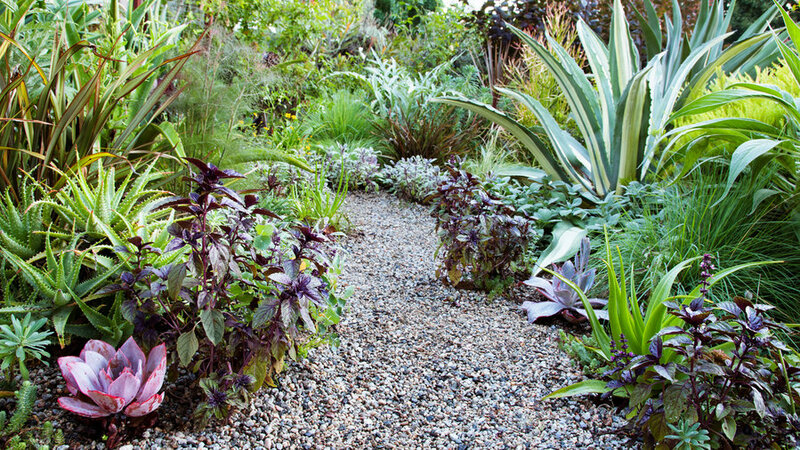 Low plants knit everything together, making a garden look like a garden. Plus, you can let some of it flower to lure in bees. Наш классный портал с информацией про пластика носа киев.